The MEMSAP Field School 2014 had a lot of firsts for me. 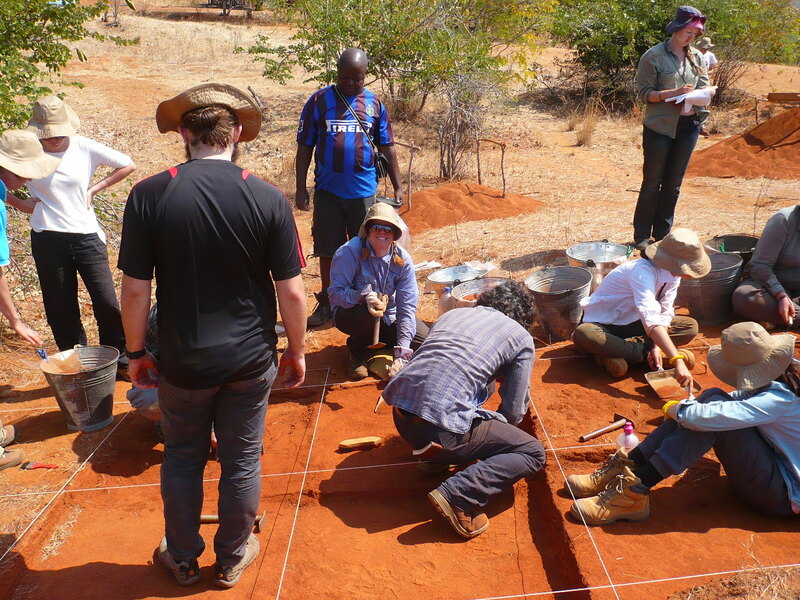 First time to Africa (and, obviously, Malawi), first time time excavating a 1mx1m square, first time finding stone artefacts in situ and first time eating nsima! I decided to apply for the field school because I knew it would be an excellent opportunity to gain valuable experience on a real research project that would stand me in good stead for years to come. I’m so glad I did. 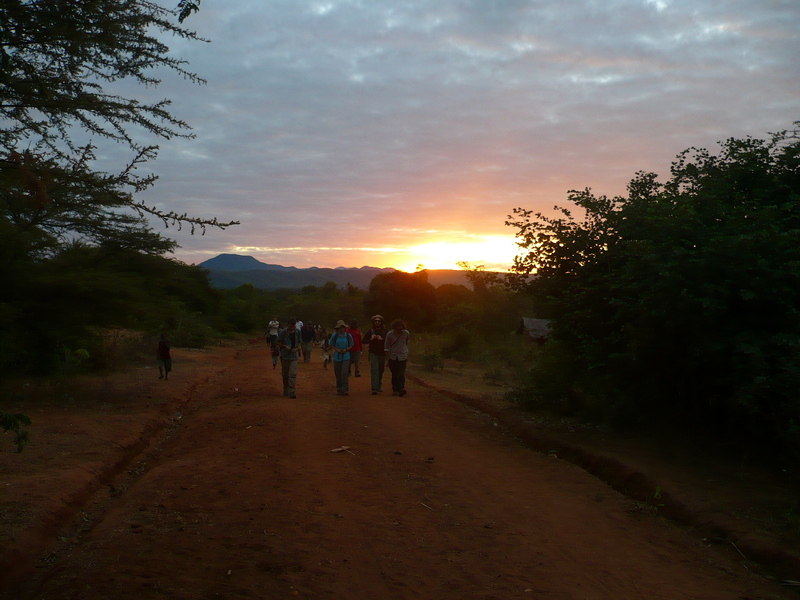 Early mornings and long days are always a challenge but beautiful African sunrises and sunsets each day were encouraging. After a long bus journey from the capital Lilongwe, to the northern town of Karonga, we decamped at the dig house compound. I was pleasantly surprised by the accommodations – I was expecting a tent with a pit toilet. We could see the mountains of Tanzania and Mozambique from the balcony. Local staff looked after us brilliantly and although we had some occasional water and power outages, I reckon we were pretty lucky knowing that right next door, local people were living on small subsistence farms with no running water. Meals were plain but wholesome although I think some of the participants used to a student diet (i.e. lots of carbs and coffee) did struggle a little. Although nsima (maize meal) is quite bland, it was filling and made more delicious by the addition of homemade tomato salsa, stir fried mustard greens and Nali (hot sauce)! We did sometimes get beef stew, eggs and even pancakes. 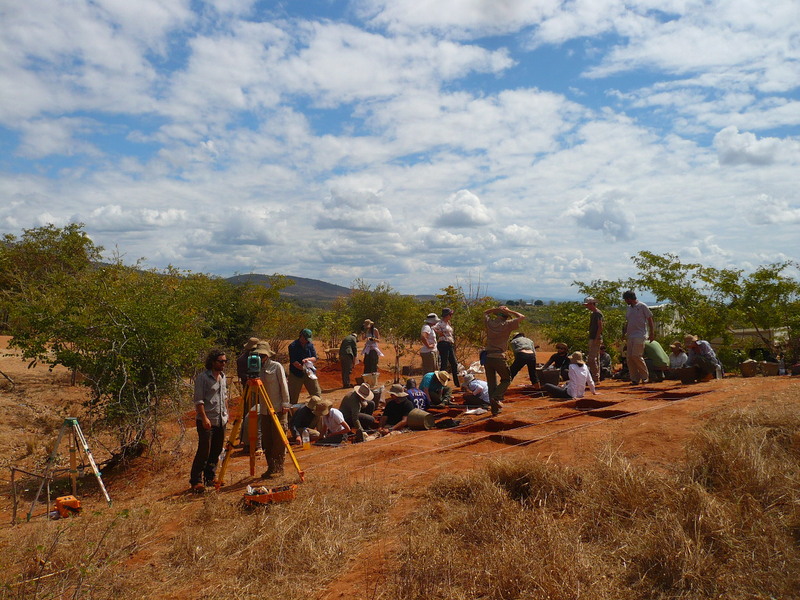 The 12 days of field school were practical and intensive. We started by helping taking inventory of equipment and supplies. We moved onto trying out stone knapping and realising how such an integral skill to our human ancestors has been largely lost. 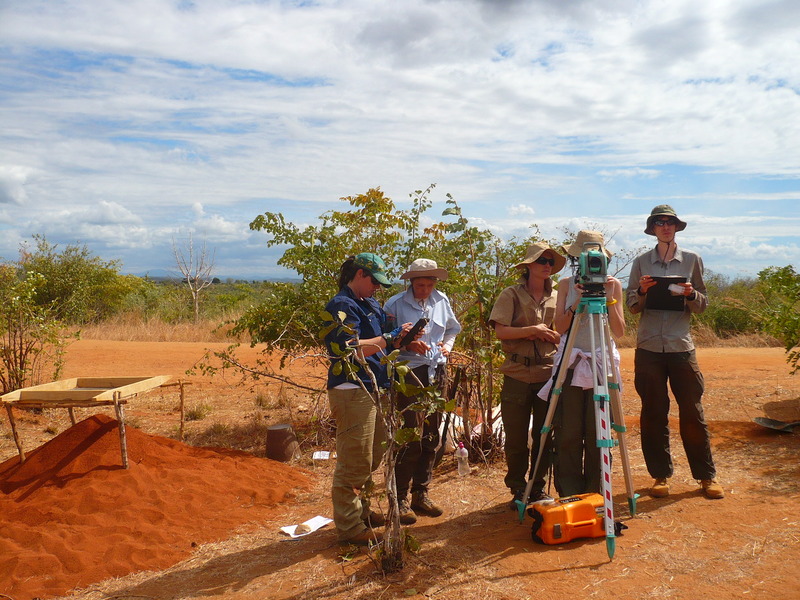 Learning total station, surveying, mapping, using GPS and practising walking transects through acacia thorns and up parabolic hillslopes was a definite learning curve in the first week. Visiting a range of sites to see sediments and learn about geomorphology was particularly interesting. All these activities were completed in small groups which varied throughout the week and in this way students were able to get to know each other and learn to work together recognising differing skills, life experiences and backgrounds. The bonus was hiking through the amazing Karonga landscape, finding incredible stone artefacts just lying on the surface, the glorious afternoon light and receiving loads of waves and warm smiles from kids and adults alike. On our first Sunday off, most of us visited the local markets and attempted haggling with locals or hunted desperately for chocolate. As a well-seasoned traveller, this experience was easy for me, but I know for some students, actually seeing how local people live and work and sell their wares was a real eye opener. We also visited a local lodge at Lake Malawi to let our hair down a bit and have a change from nsima. In the second week, we got dirty. Excavation time! The amazing red Chitimwe Beds gave us all a fake tan glow by the end of each day but our teeth looked really white. Being able to use the total station on an actual site made things fall into place for me. Digging out my first square is something I will always remember. I already have many years of working behind me, but a lot of students were, naturally, less experienced and developing team working in this challenging environment was a very important lesson for us all. Utilising the FAIMS system to record the progression of the excavation was interesting and with my experience in data management, I can see where this aspect of archaeology can blossom. I made mistakes with the total station and recording but it’s the way to learn, right? 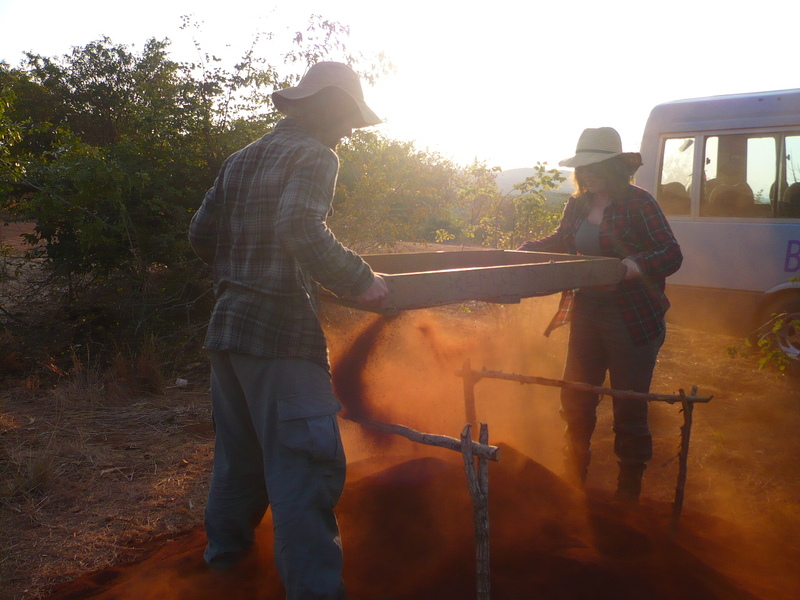 Working with the local workers on the excavation site was also a great opportunity. We watched their techniques for digging and tested them out the next day. Learning how to draw section diagrams and photograph profiles was also of great interest to me, being a visual person. On our day off in the second week, we visited a nearby site where historically, the local kings once held court. 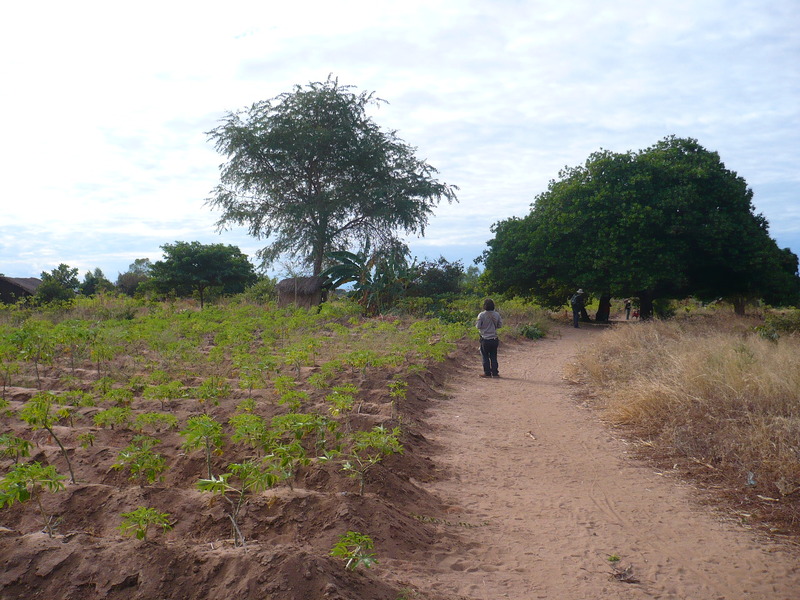 The hilltop site was accessed by a short but steep climb through thorny bushes and huge baobab trees and we were rewarded by amazing views over the river and villages. Again, in the evening, we headed to the Lake for relaxation and reflection. 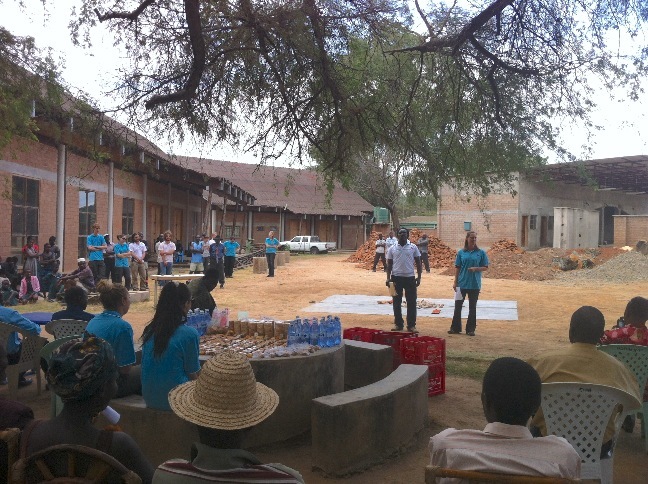 After the field school, we had a community interaction event, at the Karonga Museum. There was a dance troupe and a drama group and speeches by local dignitaries and Dr Jess Thompson. Students set up five different activities to show the local people what MEMSAP is all about. This included examples of stone artefacts found in the region with a special focus on preserving their context. Some students and locals demonstrated stone knapping. We showed what a total station does and how to string out excavation squares. Finally, there was a demo of Google Earth and a display of photographs of excavations and this proved very popular. Overall I had a fabulous time. I learnt a lot, made some great contacts and hope to maintain some of the friendships made during those two and a half weeks.